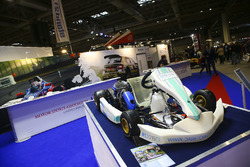 Day one saw the first ever launch of a top-tier FIA World Championship at the show in its 27-year history. Crowds were treated to unveils of four new 2018 season World Rally Championship (WRC) Cars: the M-Sport Ford Fiesta WRC, Hyundai i20 Coupe WRC, Toyota Gazoo Racing Yaris WRC and Citroën Racing C3 WRC. 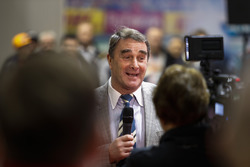 F1 World Champion in 1992 and IndyCar Cart Champion in 1993, Nigel Mansell CBE, underlined why he’s one of the most-loved British racing drivers in history, drawing enormous crowds to the Autosport Stage. 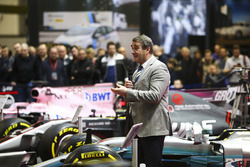 Mansell was joined on stage on Saturday by Billy Monger for a special appearance. 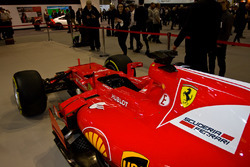 “When I raced for Ferrari, they called me ‘Il Leone’, the Lionheart. 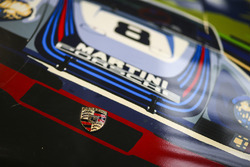 Well, you are the young Lionheart Billy,” Mansell said. 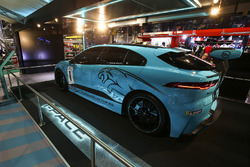 Joining forces with legend Terry Grant and Mission Motorsport, Monger was the star member of a stunt team that wowed crowds in the Live Action Arena in a fleet of specially-adapted Jaguar F-Types. Hosted by David ‘Crofty’ Croft, the Live Action Arena line-up also saw 2000 NASCAR Winston Cup Series champion Bobby Labonte showcase the extraordinary power of a NASCAR car. Drifting and Rallycross provided the real sideways antics, while the Ginetta Racing Drivers Club racers went head-to-head in a competitive race. 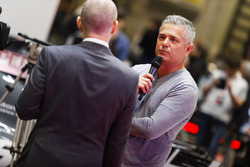 Gil de Ferran, who won the Champ Car Series in 2000 and 2001 and the 2003 Indianapolis 500 also took to the Autosport Stage. In 2017, he coached Fernando Alonso when the McLaren-Honda driver decided to compete in the Indy 500. 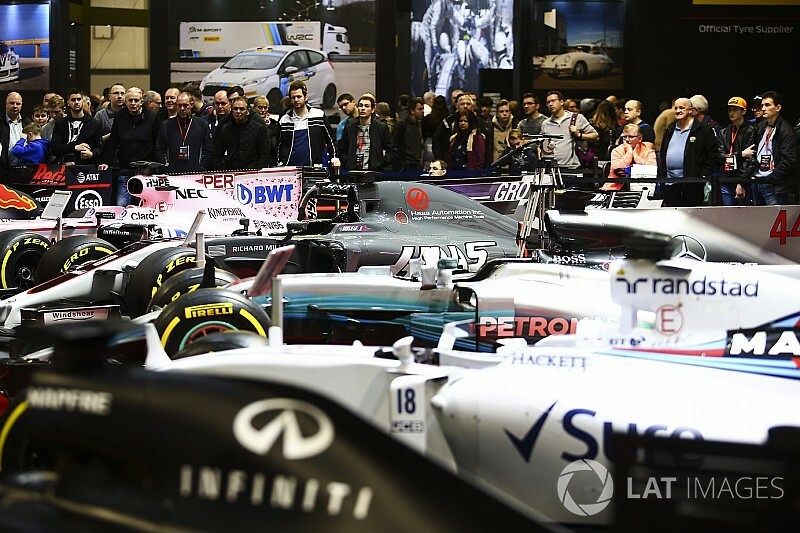 Former Williams Martini Racing F1 test driver Susie Wolff told host Henry Hope-Frost about the impact Dare to Be Different has had on inspiring women to get into motorsport since its launch at the show two years ago. 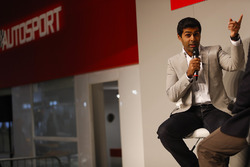 Other star names entertaining the crowds were former F1 drivers Emanuele Pirro, five-time 24 Hours of Le Mans winner, Derek Warwick, who won the 24 Hours of Le Mans in 1992 and Karun Chandhok, who is also a commentator for the sport. 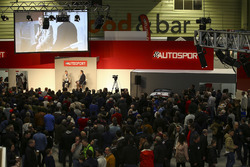 DTM driver Gary Paffett and works Aston Martin Racing drivers Darren Turner and Jonny Adam also took to the stage. 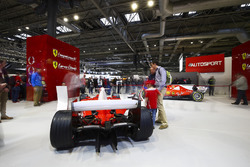 In the main hall, visitors were able to feast their eyes on a mouth-watering line-up of Ferrari competition cars, as part of a very special Ferrari centrepiece. 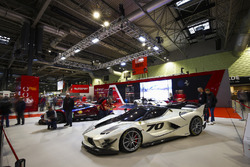 The line-up included the 2017 F1 car, the SF70H, to the 2004 championship-winning F2004, 2017 LMGTE Pro World Endurance Championship-winning AF Corse 488 GTE, FXX-K Evo and the 488 Challenge cars, all of which are available through Ferrari’s Corse Clienti programme. 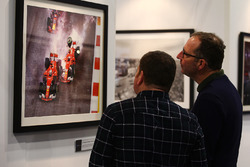 In the 60th year of BTCC display presented by Motorsport News, fans of saloon car racing were treated to a selection of current and historic machinery from the championship’s past. 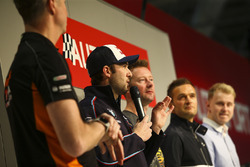 Five BTCC champions – Ashley Sutton, Matt Neal, Gordon Shedden, Colin Turkington and Andrew Jordan - were in attendance to join in the celebrations. 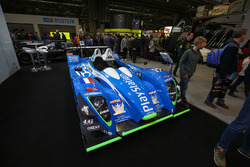 Launch highlights at the show included Ginetta, which took the wraps off its 650bhp LMP1 challenger that will race in the World Endurance Championship and Le Mans 24 Hours this year. 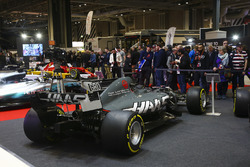 Invictus Games Racing, a collaboration between James Holder, Co-Founder of Superdry, and the Invictus Games Foundation, was revealed. It will see a select group of wounded, injured and sick (WIS) veterans of the British Armed Forces compete in the 2018 British GT Championship in specially-designed Jaguar sports cars. 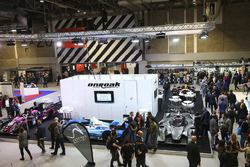 The Performance Car Show was a feast of road and racing cars, with Motor1.com’s stand featuring 3,000bhp of high performance machinery. There were UK debuts from the VW Golf GTI TCR – a 345bhp competition version of the road car – and the new, facelifted Ford Fiesta ST. 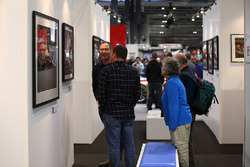 The stand was completed by the Jaguar XE SV Project 8 – the fastest four door saloon to ever lap the Nurburgring – Mission Motorsport’s Jaguar F-Type ‘Poppy Car’, the latest Porsche 911 GT3 and McLaren’s 570S GT4 race car. 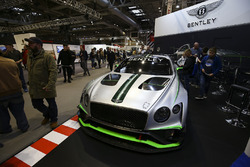 Other noticeable draws included the Social Influencer Hangout, lead by popular supercar vlogger Shmee150 with his Mercedes AMG GT R. Cars from GasKings, Archie Hamilton and Queen B were joined by Baron Von Grumbles motorbike on the popular stand. The show also played host to the much-anticipated reveal of the specially-commissioned Liberty Walk EU Lamborghini Aventador. 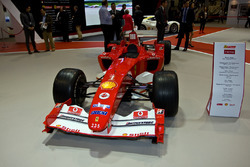 Autosport International is part of Motorsport Network’s UK title, Autosport – one of the world’s leading print and online motorsport publishers. 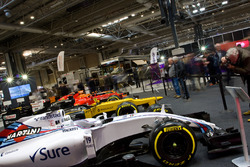 Autosport International returns to Birmingham’s NEC from 10-13 January in 2019.